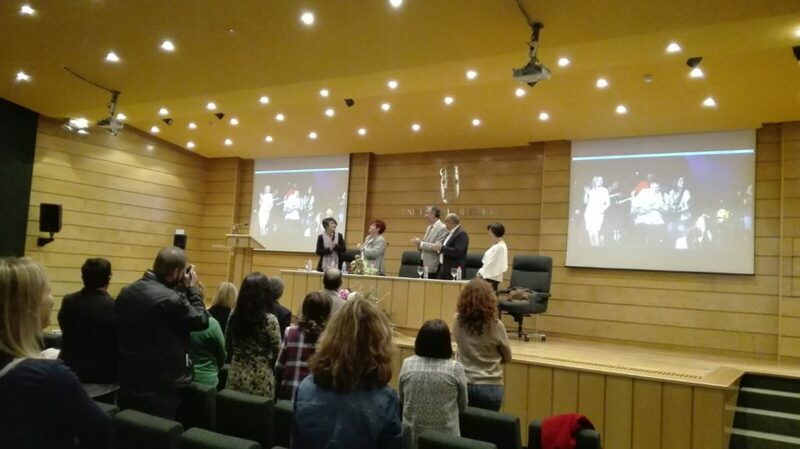 Inés estuvo acompañada por familia, colegas, amigos y autoridades. Adjuntamos fotos del evento así como la nota en la prensa que apareció al día siguiente. 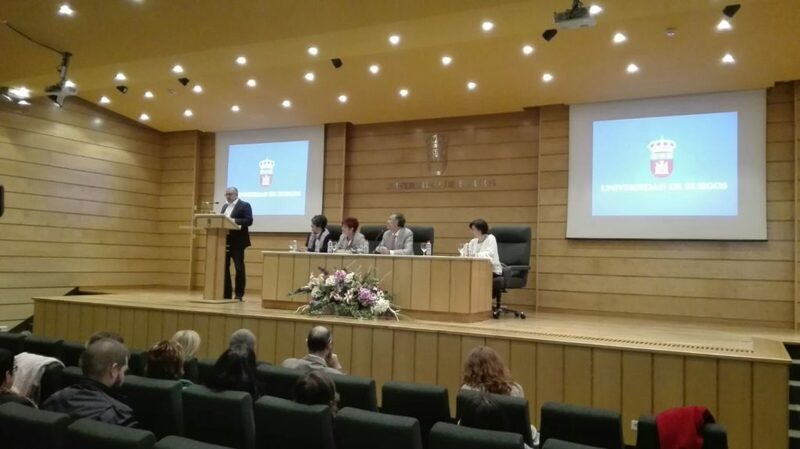 Desde la Junta de AEDEI y en representación de todos los miembros, recibimos esta noticia con muchísima alegría; éste es un merecido homenaje a la fundadora de nuestra asociación. 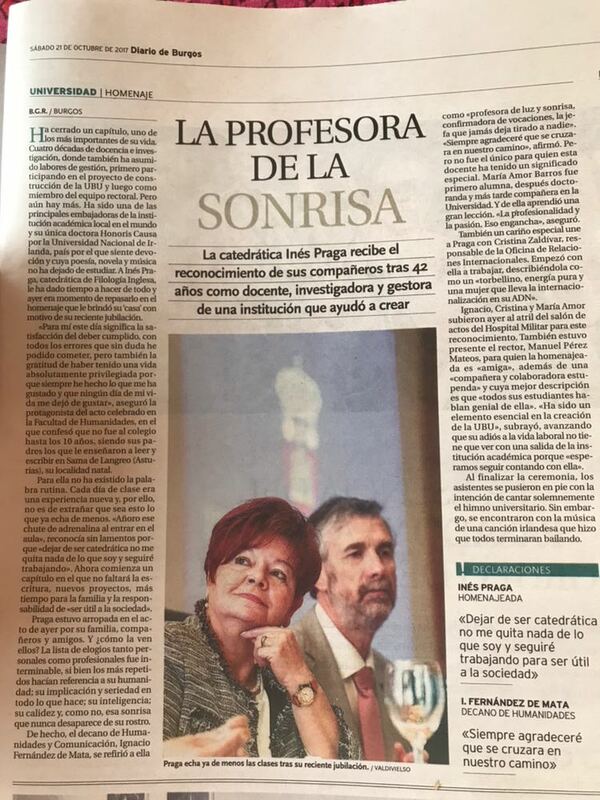 On October 20th, a formal celebration was arranged in honour of AEDEI Founder, Professor Inés Praga, for her 42 years as Lecturer, Researcher and Manager of the University of Burgos, an institution which she helped founding. 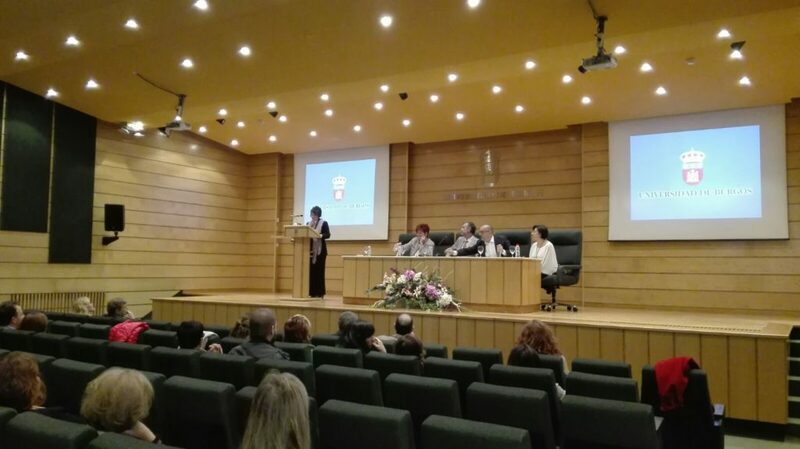 The Academic Event was presided by the Dean of the University, the Chairperson of the Faculty of Humanities and Comunication, by Dr. María Amor Barros y by the Vice dean of International Relations. It was a moving and festive event, in which Inés was accompanied by relatives, friends, colleagues, and authorities. We here attach pictures of the event as well as the press release which appeared the following day. We are extremely happy with this deserved tribute to the Founder of AEDEI.